Josh Duggar is gearing up for a court battle stemming from the Ashley Madison scandal that the "19 Kids and Counting" star was engulfed in two years ago. 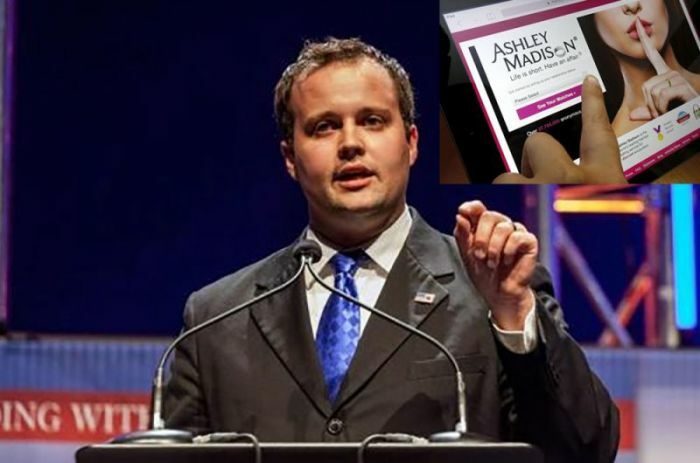 In 2015, Duggar came under fire when he admitted to committing adultery by using the Ashley Madison website. Duggar reportedly used someone else's picture on his profile, a DJ named Matt McCarthy, who filed a lawsuit against the reality TV star in August 2016. According to Radar Online, Duggar will be back in court next month to face McCarthy who says he's suffered irreparable damage to his career as a DJ in California. "McCarthy claimed that his high school teacher called him and informed him that Josh had used his photos, and that the teacher then inquired if McCarthy had engaged in a sexual relationship with Josh," Radar Online reported. "After that, McCarthy says he was flooded with calls, emails, and other communications from family, friends, professional partners, and even strangers asking about his connection to Josh's scandal. Making matters worse for the working DJ, McCarthy said in court documents that he had been called Duggar's Boy Toy and DJ Duggar, among other epithets." McCarthy is reportedly seeking $25,000 for damages to his career. The next court date is scheduled for June 22. News broke about the Ashley Madison scandal after hackers released the business' client list where Duggar's email was discovered in 2015. Duggar previously released a confession of adultery, admitting that he had been a hypocrite after showcasing staunch Christian values publicly. "I have been the biggest hypocrite ever. While espousing faith and family values, I have been unfaithful to my wife," Duggar said in the statement. "I am so ashamed of the double life that I have been living and am grieved for the hurt, pain and disgrace my sin has caused my wife and family, and most of all Jesus and all those who profess faith in Him." Aside from the Ashley Madison fiasco, a police report surfaced around the same time stating that Duggar reportedly molested five girls when he was 14 years old. Media outlets reported that the victims included Josh's sisters. Duggar also issued a public statement about those allegations, publicly admitting his wrongdoing. "Twelve years ago, as a young teenager, I acted inexcusably for which I am extremely sorry and deeply regret. I hurt others, including my family and close friends. I confessed this to my parents who took several steps to help me address the situation," Josh told People magazine. "We spoke with the authorities where I confessed my wrongdoing, and my parents arranged for me and those affected by my actions to receive counseling. I understood that if I continued down this wrong road that I would end up ruining my life." Last year, the Duggar family released a statement to announce that Josh had completed a counseling at a faith-based rehabilitation center. "Josh has completed his residential rehabilitation program. It was a crucial first step in recovery and healing for Josh," the statement said. "Josh has now returned to Arkansas, where he will continue professional counseling and focus on rebuilding relationships with his family. We look to God for help and guidance and place all of our trust in Him." Is Jana Duggar Being Courted by a Man She Met in Asia During a Mission Trip?